Friends of Chevalier Theater – Support the Friends! 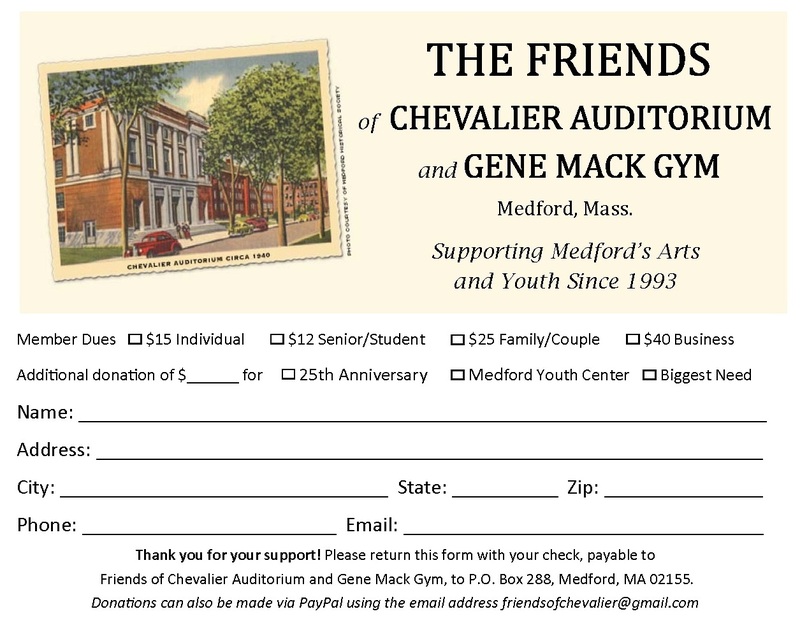 The Friends of Chevalier Auditorium and Gene Mack Gym gratefully welcomes your support to help us continue to fulfill our mission of fostering financial and community support for Chevalier Theater and the Medford Youth Center, located in the Gene Mack Gym. Annual membership dues are $15 for an individual, $25 for a family/couple, $12 for a senior/student, and $40 for a business. Dues may be mailed in using this membership form, or submitted electronically via PayPal.